How to Install ADB Drivers in Your Computer (Windows 7, 8.0, 8.1, 10). If you’re looking for latest ADB Drivers 1.4 or older 1.3 versions to download or a step-by-step guide to install ADB in your computer, than you may follow this post. This is All-in-One installer for 3 most needed PC tools for Android. No need to download big SDK for 3 small things. I originaly made it for my Kurdish friend AnGrY DuDe in early 2013. 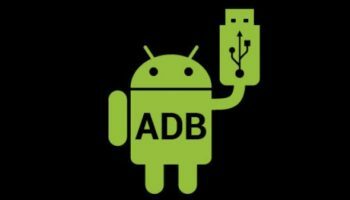 I saw another ADB installer on XDA, but it wasn’t good enough for me so i’m finaly posting it here. It’s very small and fast installer for tools and drivers. At first Download and copy the file in your computer. Then Extract the file. 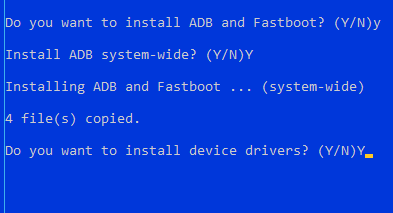 A indigo-blue command prompt will appear and show you “Do you want to install ADB and Fastboot? (Y/N)“. You must type Y and hit enter. Then it will ask you again”Install ADB system-wide? (Y/N)“. You need to type Y and hit enter. Then again you need to type Y and hit enter to install device drivers. Continue Driver installation. Installation Will be competed with in half minute. Use OLDER ADB DRIVER 1.3 Version, If upper one (V1.4) doesn’t work. If you have older Google USB Driver installed, please uninstall it from Control Panel before installing new.